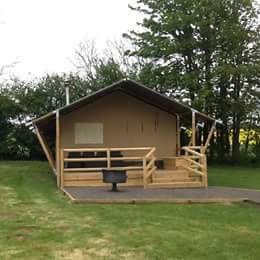 2 luxury safari tents set in the Lincolnshire wolds AONB. 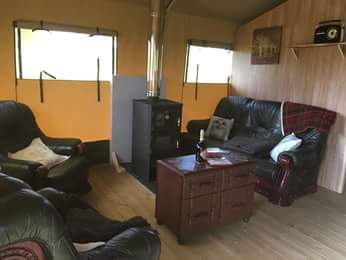 Shower room with toilet in each tent, one double and two twin rooms, open plan kitchen,dinning and lounge with cosy log burner. Own BBQ/ pizza oven. Private veranda. Secluded country site. Plenty to see and do locally.